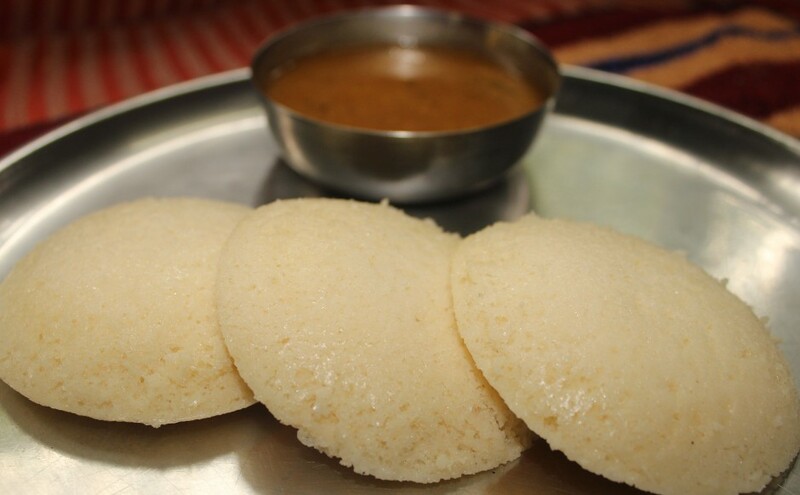 Idli is a traditional and a very popular breakfast in South Indian households. 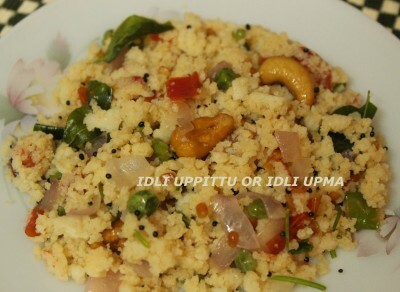 It is a savoury and steamed dish and made by steaming a batter consisting of de-husked fermented black lentils (urad dal) and rice. 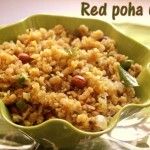 The fermentation process breaks down the starches so that they are more readily metabolized by the body. 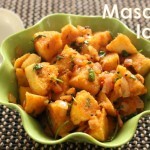 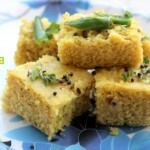 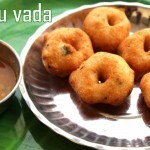 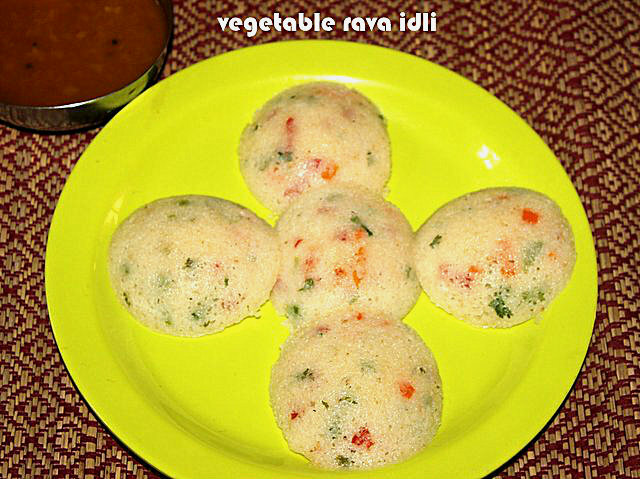 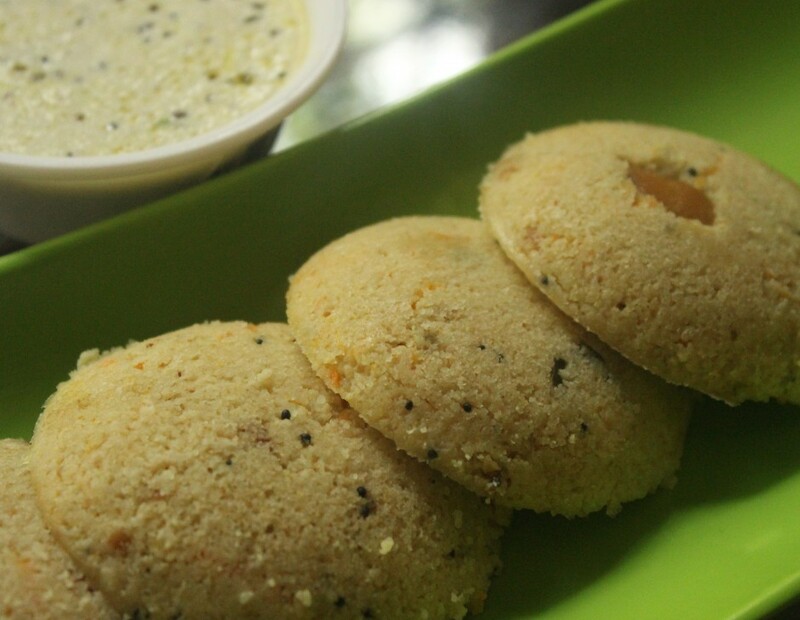 There are many varieties of idli prepared like rava idli, ragi idli, oats idli and so on. 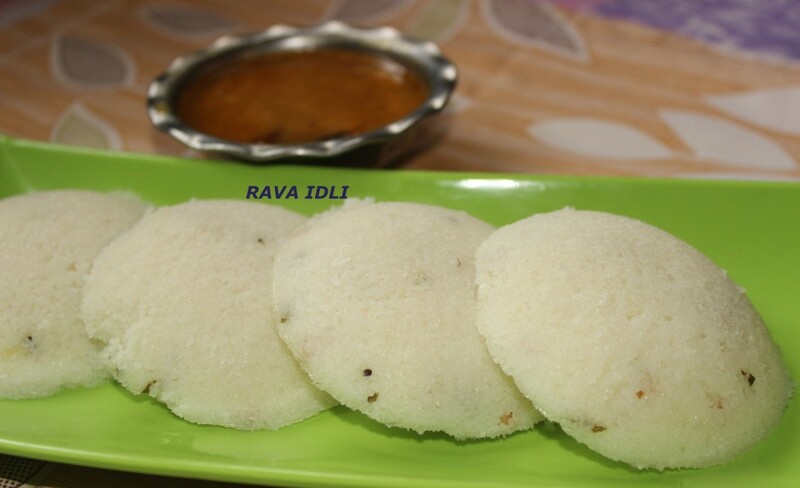 Plain idlis are mild in taste and so they are often served with sambar or chutneys (coconut based) or kaara chutney (spicy) .The dry spice mixture podi is convenient while traveling. 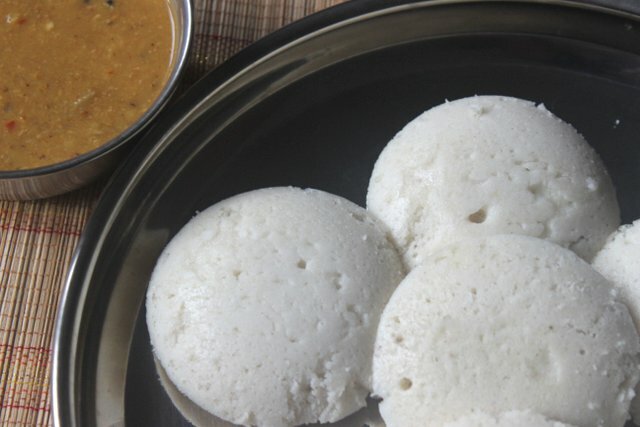 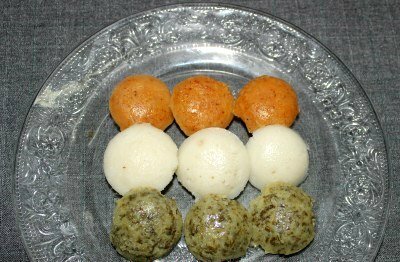 To prepare idli, four parts uncooked rice (Idli rice or parboiled rice) to one part whole white lentil (urad dal) are soaked separately for at least four hours to six hours or overnight. 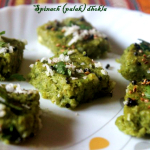 Spices such as fenugreek seeds (methi seeds) can be added at the time of soaking for additional flavor. 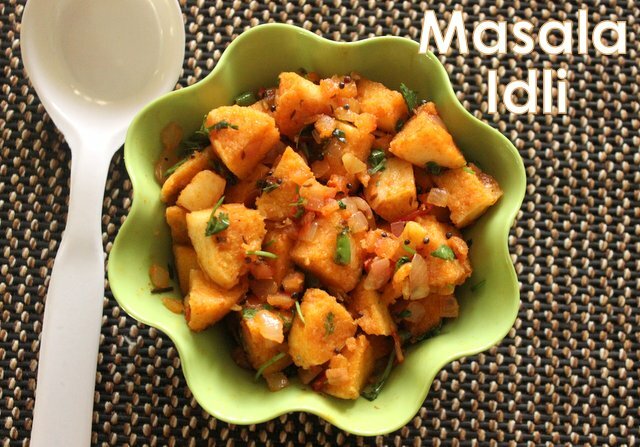 Once done soaking, the lentils are ground to a fine paste and the rice is separately coarsely ground, then they are combined. 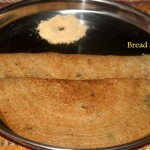 Then the mixture is left to ferment overnight during which its volume will more than double. 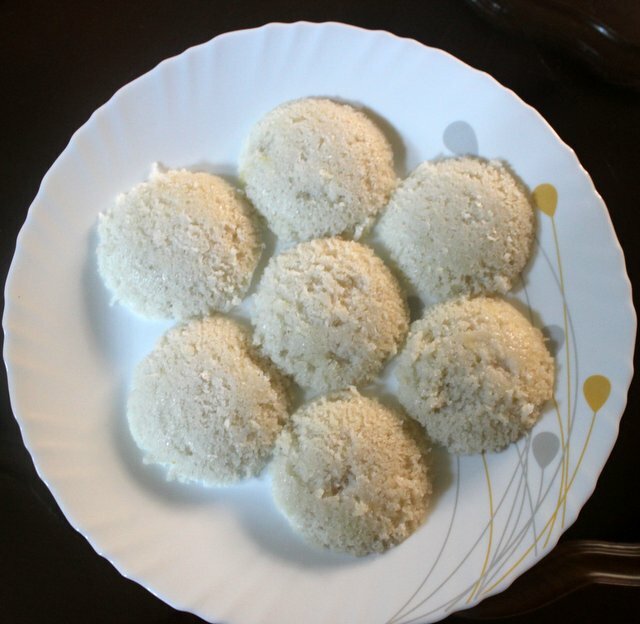 The finished idli batter is put into greased moulds of an idli tray for steaming. 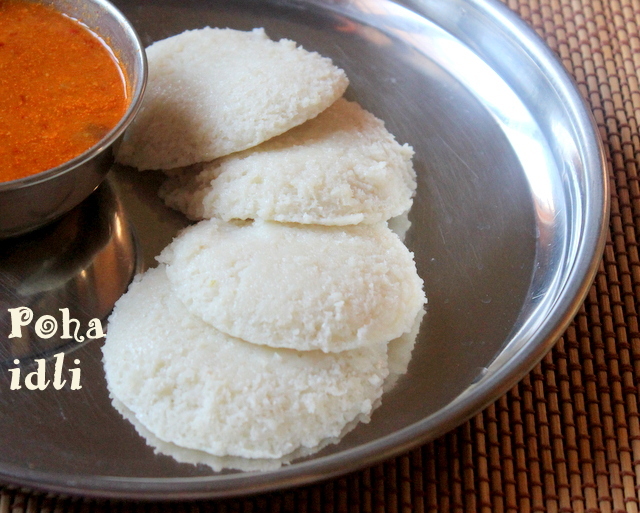 The perforated molds allow the idlis to be cooked evenly. 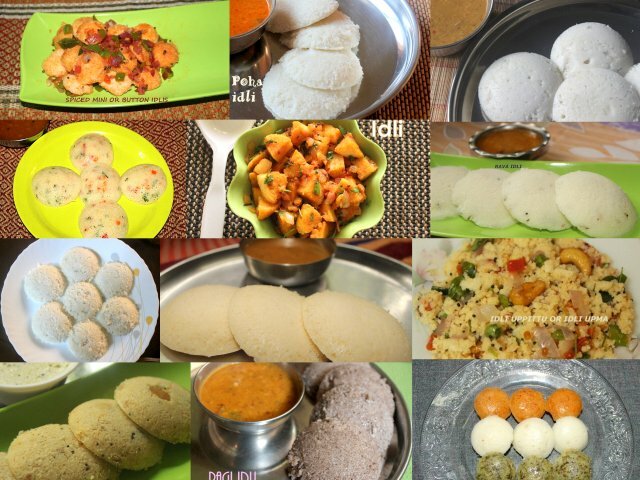 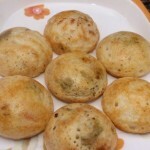 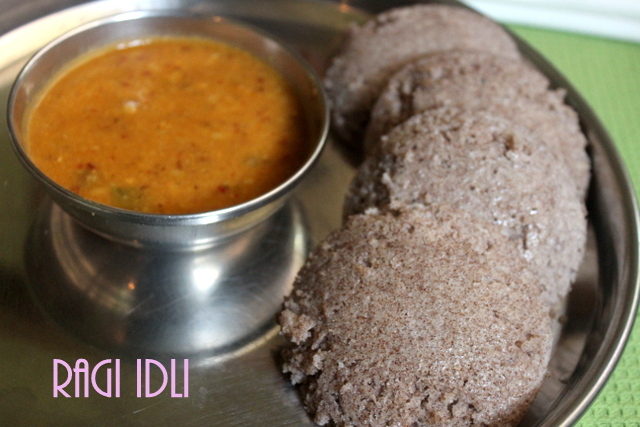 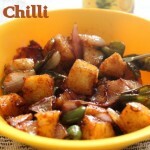 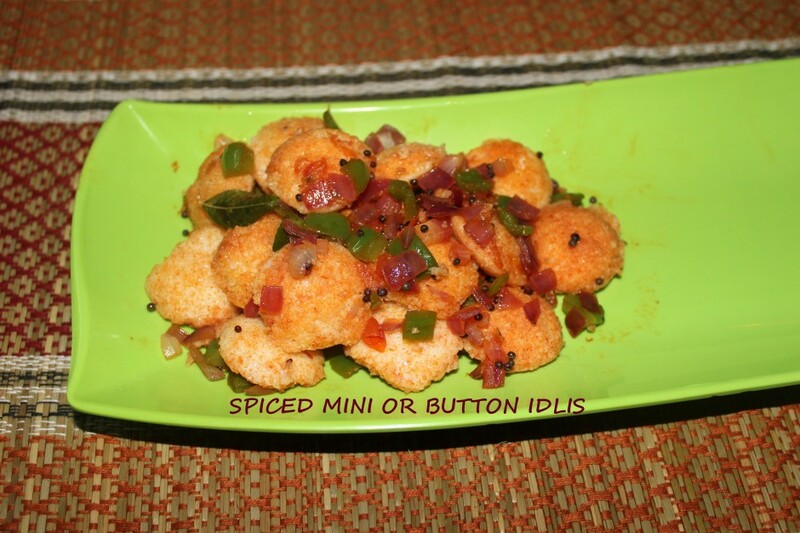 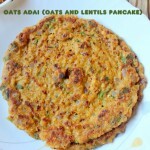 I have compiled all the idli recipes from my blog into this post for easy reference. 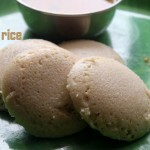 Hope they are useful to viewers.